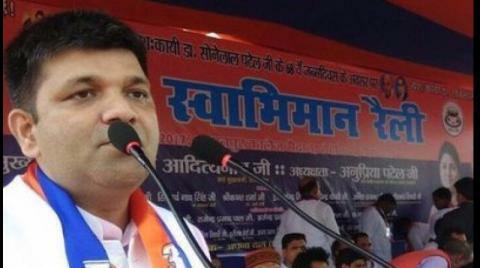 BJP in UP insulting weaker sections of society, says NDA ally Apna DalAshish Patel added that till the matter is not solved, Apna Dal will not participate in any government programmes in the state. New Delhi NDA society : The Apna Dal, NDA's ally in Uttar Pradesh on Saturday said that BJP leaders in the state are insulting the weaker sections of society while urging Prime Minister Narendra Modi to look into the matter at the earliest. Speaking to Apna Dal chief Ashish Patel said: "BJP leaders in Uttar Pradesh are insulting the weaker sections of society because of their arrogant attitude. I appeal to the Prime Minister to intervene in the matter." He also added that till the matter is not solved, Apna Dal will not participate in any government programmes in the state. "Till the matter is not solved, we will not be part of any government programmes including the Prime Minister's event in Ghazipur. I am confident that (BJP chief) Amit Shah ji will hear us out," he added. Apna Dal is said to be miffed with its ally partner in Uttar Pradesh. Earlier, the party chief alleged that the BJP-led NDA is not giving due respect to its allies while advising the BJP to learn from the recent losses in the recently-held Assembly elections in Madhya Pradesh, Rajasthan and Chhattisgarh. "BJP leadership in the state (Uttar Pradesh) is not giving us the respect we deserve, they should learn from recent losses. The alliance between the Samajwadi Party and the Bahujan Samaj Party is a challenge for us. Allies in Uttar Pradesh are upset, leadership at Centre must do something, else NDA would suffer in Uttar Pradesh," he had said.BJP in UP insulting weaker sections of society, says NDA ally Apna .